We are a leading Manufacturer of wooden venetian window blinds, vertical window blinds, designer vertical window blinds, home venetian window blinds, venetian window blinds and designer roller window blinds from Chennai, India. 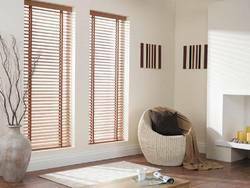 By utilizing modern machines and new technologies, we are engaged in offering an extensive array of Wooden Venetian Window Blinds. Unique designs and attractive patterns are taken into consideration while offering these blinds. These products are light in weight and need low maintenance. A dedicated team of a skilled technician and designers fabricate these products. We hold expertise in manufacturing of the qualitative range of Vertical Window Blinds, which are available in elegant looks and used to control the light entering your homes. These products are able to maintain the privacy of the rooms and these products are used for commercial and domestic applications. Innovation is our forte which has enabled us to bring to you the specialized range of Designer Vertical Window Blinds. 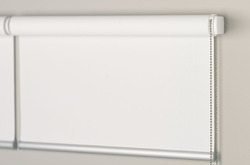 These blinds are mainly applicable in offices, conference rooms and homes. Our products are manufactured with strict adherence to international norms and guidelines. 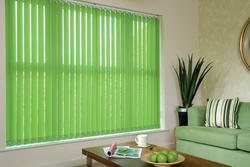 This range of blinds is suitable for providing an effective security from harmful sun rays. Designed and developed by our skilled personnel, we ensure that these products are delivered within the scheduled time. Our organization has emerged as a leading manufacturer of a competitive range of Home Venetian Window Blinds. 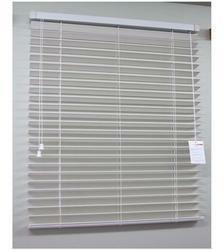 Manufactured using quality-approved raw materials, these blinds are widely used in domestic areas. This range of products are available in standard as well as customized solutions and are delivered only after ensuring that they are strictly in compliance with the set industry standards. We are engaged in manufacturing a qualitative range of Venetian Window Blinds, which are suitable to prevent the sun rays. 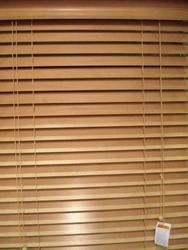 These blinds are mostly used in offices, houses and conference rooms. Available at reasonable prices, our products are highly in demand due to their timely delivery and easy-to-maintain nature. We take pride in offering you our quality acclaimed product Vertical Window Blinds. Offered blinds are manufactured using superior-grade raw material like fabric and vinyl. 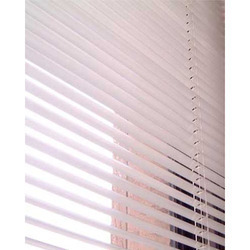 Best suited for wider windows, these blinds are extensively used for many commercial and domestic applications. These products are known to increase the energy efficiency of the rooms. Owing to our expertise in this domain, we are offering our clients a qualitative range of Designer Roller Window Blinds that are specifically designed and developed by our experienced professionals. 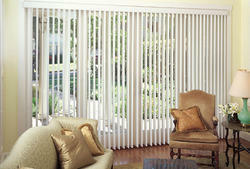 These blinds are mostly used to maintain the privacy of the rooms and compliment the decor of the room. This range of products is provided with the combination of pelmets, valances, curtains, tails, and swags. We ascertain that the products are delivered within the stipulated time-frame to avoid any inconvenience to our respectable customers. 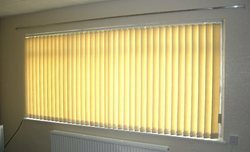 We are one of the established names of the industry engaged in manufacturing a gamut of Roller Window Blinds that are used in offices and houses. Offered range is available in lowering and raising direction and in variegated designs, sizes, and shapes. 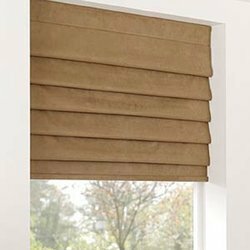 These blinds are manufactured using premium quality raw-material procured from the most reliable vendors of the industry. 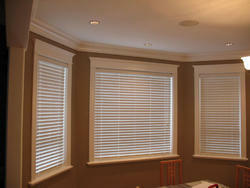 We also offer customization of these blinds to meet the varied needs of our patrons. With the help of our experienced designers, we are able to design and develop a vast array of Wooden Window Blinds. These blinds are styled keeping in mind the Indian climatic conditions so that they prevent dust or moisture from entering the room through the window. To acquire complete satisfaction of our clients, we offer these products with customizable options. 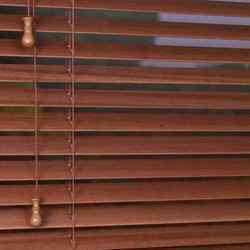 We are engaged in offering a wide range of Wooden Venetian Window Blinds which are highly demanded by the clients for its precise thickness and durability. These products are demanded by the clients for its high strength and sturdiness. 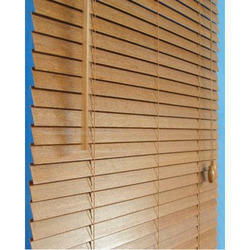 Moreover, these Wooden Venetian Blinds are easy to maintain, this range is commended by the clients for its strength. 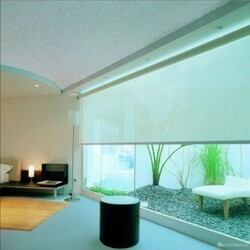 Our organization is engaged in offering Roller Window Blinds. Roller blinds are very fast moving in recent days. It gives more aesthetic value to your decor. It's almost maintenance free products, comes in the various pattern in fabric like, dim out fabric, blackout fabric, sunscreen fabric, translucent fabric etc. Available in several sizes, these blinds are converted the sun rays into pleasing shades of colors used that further reduce the heating effect of the room. 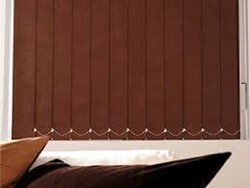 We are engaged in manufacturing a qualitative range of Roman Window Blinds, which are suitable to prevent the sun rays. 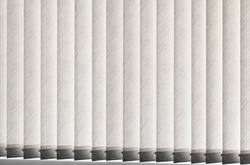 These blinds are mostly used in offices, houses and conference rooms. Available at reasonable prices, our products are highly in demand due to their timely delivery and easy-to-maintain nature.